I was not surprised that Kshiti Mohan’s conception of the book was driven by his interest in writing something that could be read, as he put it in the preface, ‘by those with much else to do’ and by his determination not ‘to add to the number of fat tomes on Hinduism’. The book is possibly better suited to a busy “outsider”, giving a no-nonsense and much less romanticised account of the various influences on Hinduism than some others that I have come across. At the same time, it tends not to under-play or be cynical about the rich history and traditions in terms of music and culture that have shaped the religion as we see it today. His focus on many influences that are not spoken about, such as the Sufi influences, many folk traditions with little written histories exemplified by the Bauls, a tradition of Bengali mystics, an extremely short section on non-Vedic influences, help improve our understanding of the diverse inputs into the potpourri that has been ossified as a single religion much like the large monotheisms. The mutual sharing of cultures, traditions, music and ideas between Islam and Hinduism particularly engage (the elder) Sen, while the younger one, in his foreword, contrasts this with the rather “…standard generalisations made not only by combative exponents of religious politics, but also by serious experts on cultural history who have been inclined to neglect these constructive interrelations”. He is talking of Nirad C Chaudhuri’s works on the history of Hinduism. There is a lot too on the influence of early Buddhism and Jainism, with the upper-caste Hindu pre-occupation with vegetarianism being traced to these periods. In fact, A Sen points out that KM Sen possibly saw Buddhism and Jainism, “at least to some extent, (as) intellectual continuations of heterodoxies within Hinduism itself”. Gautama Buddha’s agnostic philosophy may have had origins in several (then) prevalent agnostic and atheistic streams of thought in the then (Hindu?) society (see for example the Lokayata movement, which drew upon various forms of materialism, religious indifference and philosophical skepticism). From here, he traces back Hindu heterodoxy further back to the Vedas itself, quoting the Nasadiya hymn of the Rg Veda as a case in point. One major departure for me is the somewhat apologetic stance on the caste practices, where he points out the scarce scriptural backing, in addition to open criticism of the idea in some instances. This is of course pointed out by the (then) younger Sen in his foreword (p. xv). 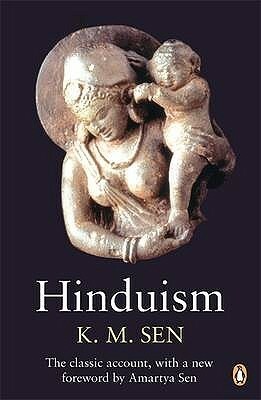 All in all, it is a nice and concise and critical introduction to many of the associations of modern day Hinduism without too much romance nor cynicism. Much recommended as an introduction to students of religious studies, but certainly not for people with an already deeper engagement. That said, if you are looking for more critical an eye at the religion than has been provided by Hindu missionary accounts, then this is a go-to book, in my opinion. Sen draws from wider sources than the classical texts that are quoted ad nauseum. Kshiti Mohan Sen’s Medieval mysticism of India (with a foreword by Rabindranath Tagore) is available as PDF here. A rather short account of Kshiti Mohan Sen by Amartya Sen at his 130th birth anniversary is in this rather poorly written article in the Telegraph. This entry was posted in Reviews and tagged Amartya Sen, Bauls, Hinduism, History of religion, india, Kshiti Mohan Sen, Sufi. Bookmark the permalink.